 EPIC (Education Paging & Intercom Communications) System™ was built from the ground up specifically for K-12 education and provides industry-leading access to all of the functions needed every day to efficiently operate a modern K-12 campus. 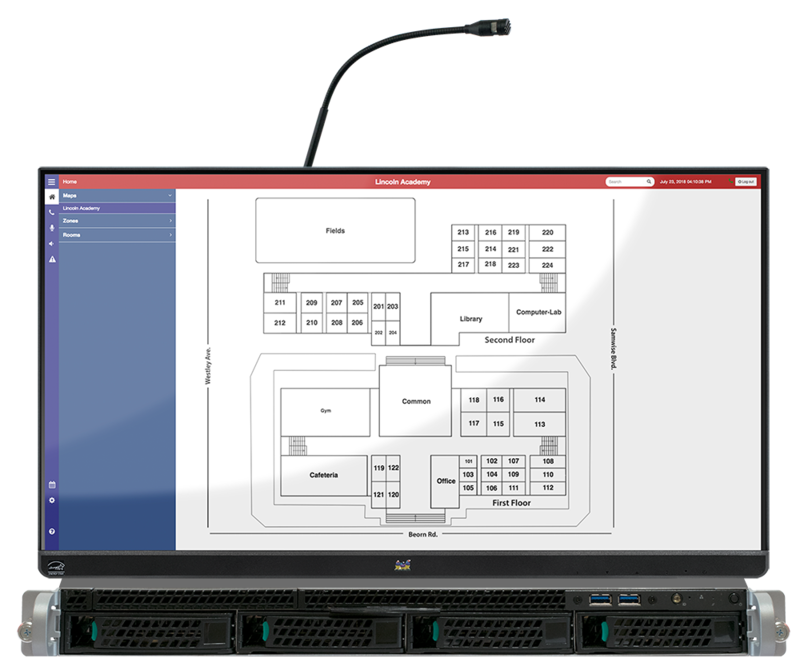 EPIC System features flexibility in bell scheduling and zone creation. Anyone with appropriate credentials can manipulate bells and zones. 2-way intercom with every classroom and emergency notifications are also included with EPIC System. It has never been easier to communicate with the entire campus or directly communicate to a specific location, as the situation arises. School bells are a critical function for a campus, so EPIC System provides a flexible and easy-to-use bell scheduling tool. The interactive campus map provides situational awareness for all communications and urgent situations. EPIC (Education Paging & Intercom Communication) System™ is a reliable schoolwide paging system that maximizes administrator's ability to provide direction to everyone on campus. 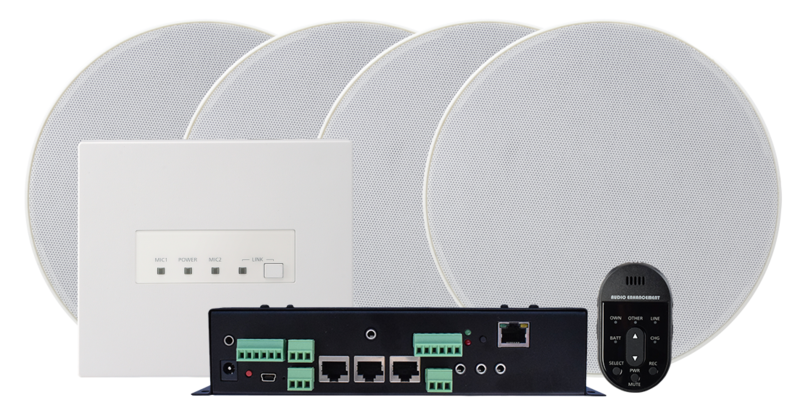 Audio Enhancement speakers are carefully engineered to produce reliable sound that is clearly audible to everyone on the premises. 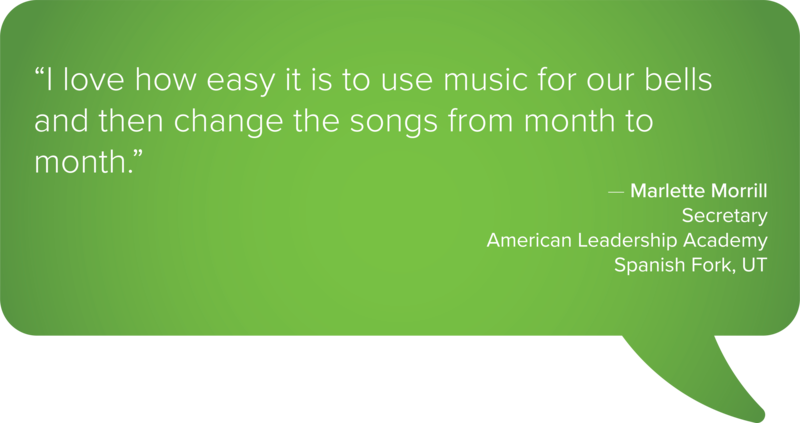 Administrators can have full-duplex audio, hands-free communication between the office and any classroom. 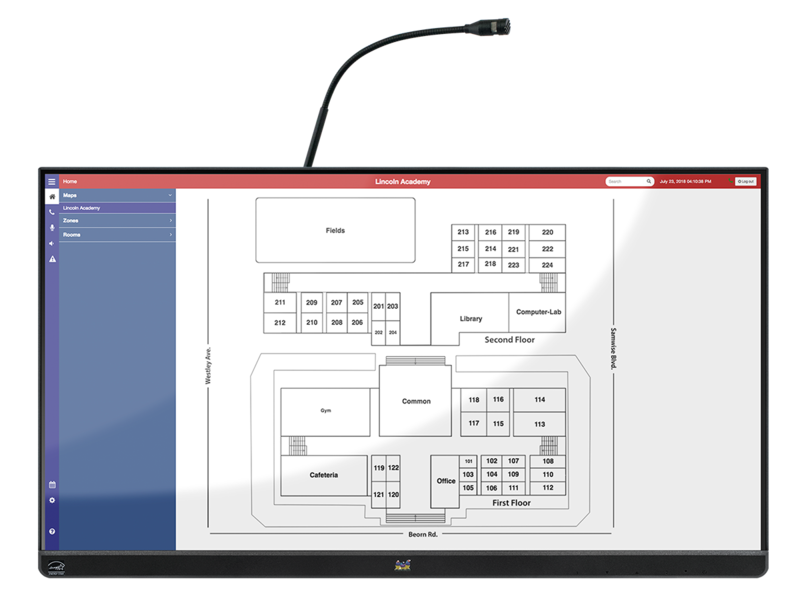 Get a full view of the school with a custom built map giving you a visual representation of paging and intercom zones, SAFE notifications and classrooms. The EPIC System Console Touch Screen is a 22” (21.5” viewable), full HD multi-touch display that includes a compact computing device specifically designed to power the front-end interactions of EPIC System. With a SuperClear® IPS panel and 10-point projected capacitive touch technology, this durable display allows users to tap, swipe, pinch, and zoom with ease. The EPIC System Server is a fully integrated headend server specifically designed to keep all the functions of EPIC System running smoothly. 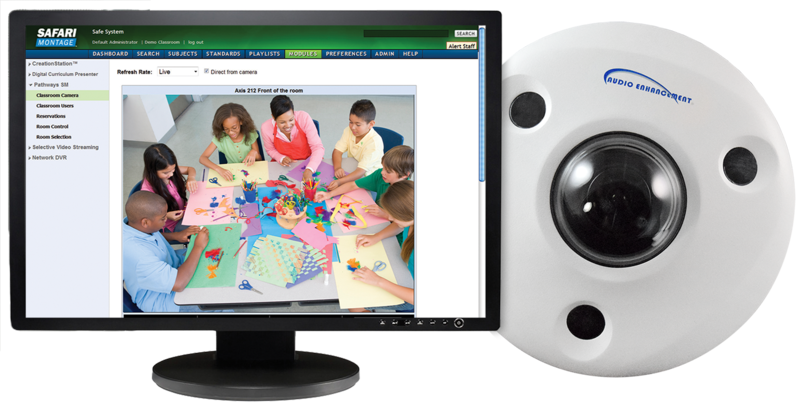 VIEWpath® (Video Interactive Education Window) is a professional development platform designed to help teachers evaluate performance, engagement and content in their lessons. GET YOUR EPIC SYSTEM TODAY!